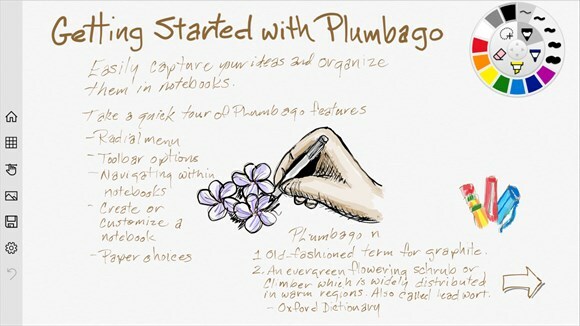 Plumbago is a new handwriting and note-taking app from Microsoft Garage. This app is currently available for Windows 8.1 and 10 tablets on the Windows 10 Store. This app is fully focused on tablets that support stylus and touch-based input.Plumbago utilizes a new technology called handwriting beautification. Adjust the smoothing level of your handwriting. Color palettes, realistic inks, and useful papers. Trace, highlight, and annotate imported image files via add pictures. Easy navigation — See all pages and easily navigate between pages in a notebook. Save a page as an image or copy specific areas to use in other apps.